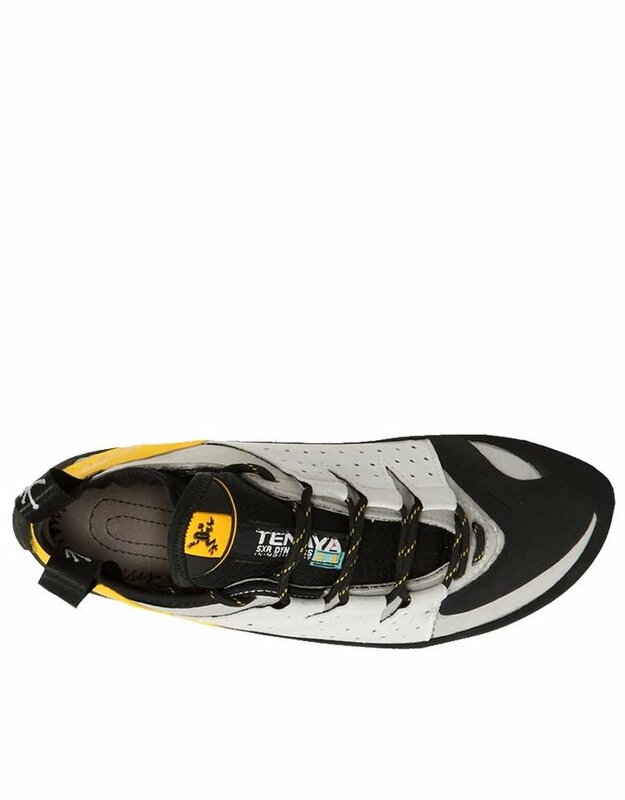 The Tenaya Tarifa is slightly stiffer in the forefoot and heel than the Oasi, allowing greater force to be transmitted through the toes when using tiny edges, but still flexible enough in the midsole for marginal smears. 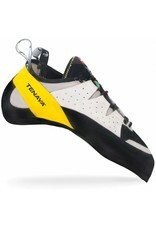 These shoes are perfect for vertical walls and for routes requiring demanding foot placements. Its curved shape and advanced toe-box means it is also a star performer on overhang walls. 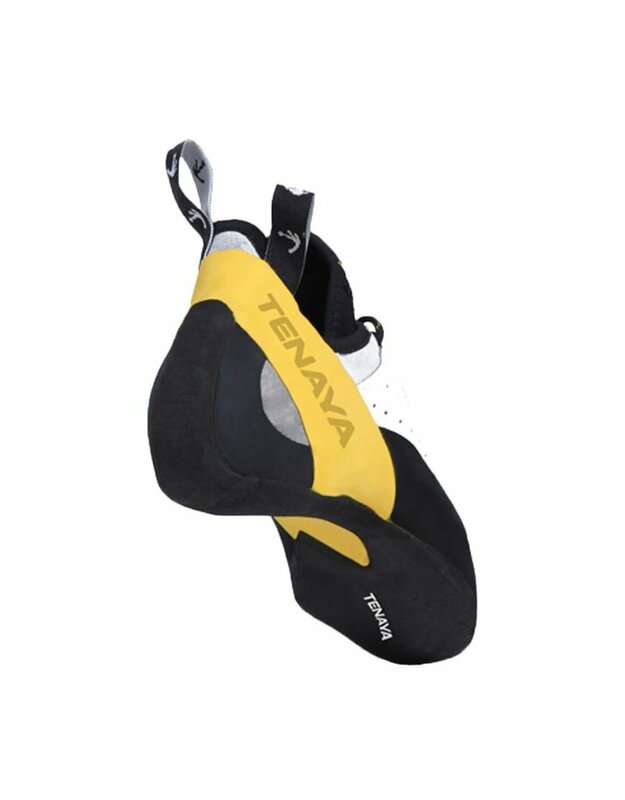 Curved form enables maximum precision on overhanging rock without sacrificing efficiency on vertical walls or friction holds. 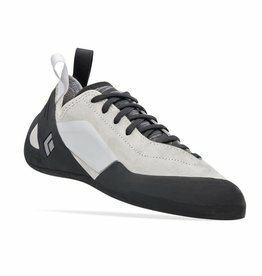 Perforated upper increases breathability while the tubular-shaped bellows tongue provides a glove-like fit and superb control. 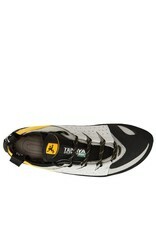 Unique and precise lace closure system maximizes the transmission of force, while leaving the rubber-coated toe-box free of impediments for marginal toe-hooking. 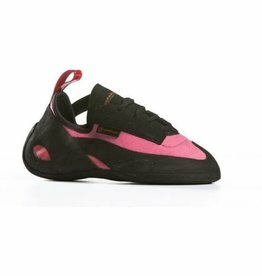 Recommended for sport climbing on rock of all angles, from powerfully overhanging routes to technical walls and delicate friction slabs. 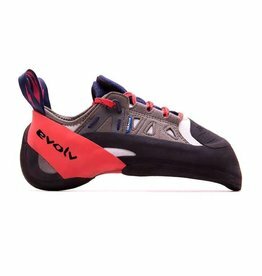 With maximum edging power and comfort, the Evolv Oracle Climbing Shoes give the highest level of fit and control available on the market. The ultimate in precision footwork and edging capability.